Yokohama is situated in Kanagawa Prefecture and quite close to Tokyo, approx. 40 minutes by train from Shibuya Station via Tokyu Toyoko Line. Yokohama is one of the earliest ports in Japan opened for foreign trades more than 150 years ago, and prospered by introducing the western civilization. There are many tourist spots with historical structures built in the epoch when it was inaugurated as a port, retaining the atmosphere of that period. There are also plenty of skyscrapers which command breathtaking views particularly night views. In this issue we introduce tours you can enjoy photogenic Yokohama in “Kimono”. “Yokohama Kimono Station” is on M1F in the Silk Center Building situated in “Yamachita-cho”. It has 50 varieties of choice such as “Hakama” (a long skirt), retro-modern “Kimonos”, real “Kimono” called “Furisode”, and so forth. Professionals will help you get dressed. You can experience real and unusual Japanese “Kimono”. They are available not only for ladies but also for men. Reservation is a must. Since sight-seeing spots are scattered in Yokohama and if you want to visit them in “Kimono”, “Cyclopolitain” is recommended. 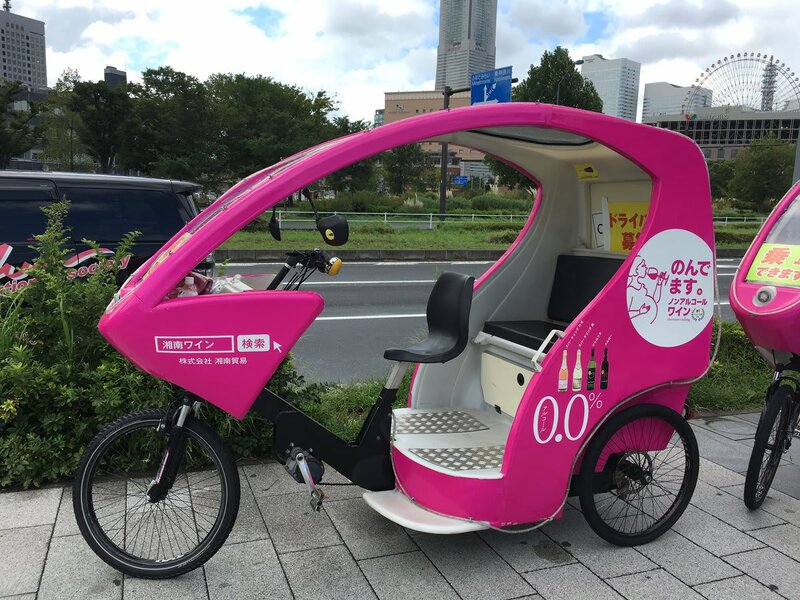 It is a bicycle-taxi which takes you to almost all tourist spots in Yokohama such as China Town, “Yamashita Koen” Park, the Red Brick Warehouses, the Yokohama Doll Museum, and so on. The fares start at 300Yen. It is a very convenient mode of travel to visit wherever you want to go. 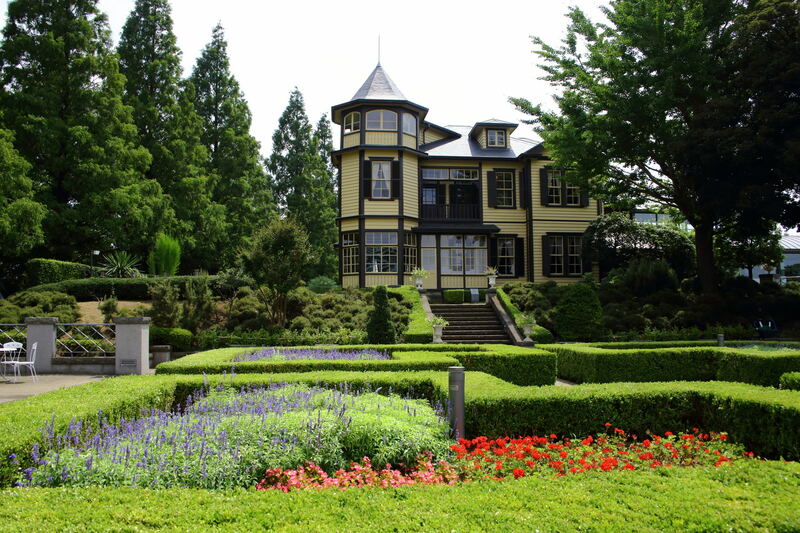 After Yokohama had been inaugurated as a port, many foreign settlers lived in “Yamate” district. There still remain many western-style houses which boast long histories and traditions. This quarter has elegant and retrospective ambience. It is interesting to know how foreigners lived in Japan then and also to learn the architectures of that era. It would be wonderful to take photos in “Kimono” at the western-style houses. Let’s Rent “Kimono” in Yokohama! “Kimono” rental is a system where you can rent “Kimono” for one day. You choose your favorite one and someone will help you get dressed, and then you go out to town in “Kimono”. At “Yokohama Kimono Station” you have to return it by 5:30p.m. in case of one day rental. Let’s go to the main jetty and the red brick warehouses by “Cyclopolitain”. Yokohama Yamate Western-style Houses are excellent places not only for a visit but also for taking photos in “Kimono”. Yokohama has various different aspects from one place to another: an area with retrospective ambience, a historical Japanese garden, the urban area with many skyscrapers, etc. 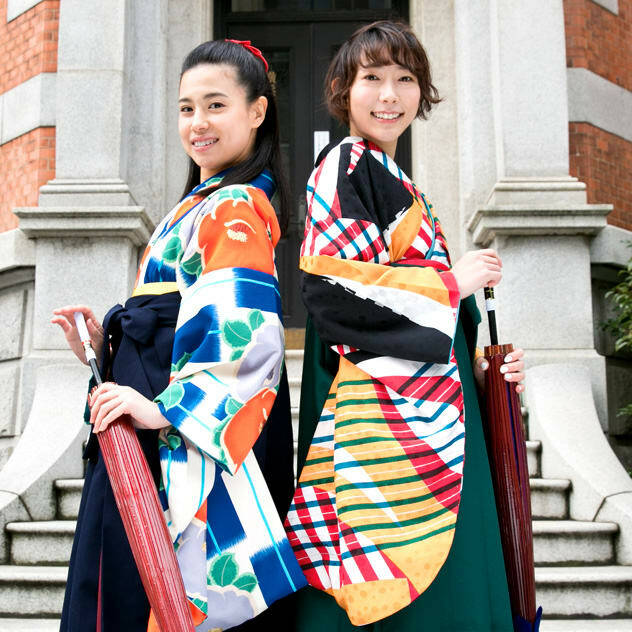 Let’s participate in the tour where you wear Japanese “Kimono” and take photos in “Kimono” at touristic spots in Yokohama! Professional guides will take you to scenic places.